The Custard TV: Louis Theroux back on BBC2 for 2 documentaries. Louis Theroux back on BBC2 for 2 documentaries. 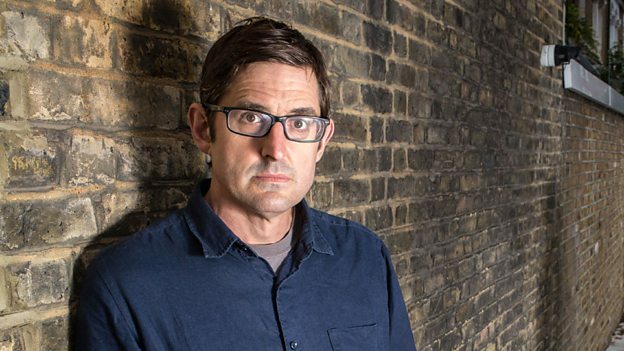 BBC Two today announces that Louis Theroux will return this year with two films based in the UK, as he takes a look at alcohol addiction and brain injury. In Drinking To Oblivion, Louis spends time at King’s College Hospital in London, where he immerses himself in the lives of patients who are in the grips of alcohol addiction, and the medical staff trying to make them better. The patients Louis meets are drinking far more than normal, sometimes to the point of self-destruction. There are many and complex reasons why people become addicted to alcohol in the first place, and why it is impossible for some to stop drinking, even when it is killing them. To outsiders, stopping drinking may seem like an easy decision, but this will show it is nowhere near that simple. Louis spends time with patients and their families as they struggle to find a way out of their addiction to alcohol before it's too late. In Brain Injury (working title), Louis takes a look at some of the issues that the estimated one million people in the UK living with the long-term effects of a brain injury have to deal with. Louis spends time with staff and service users at the Brain Injury Rehabilitation Trust, one of the UK’s largest providers of neuro-behavioural rehabilitation, in an effort to understand how individuals and their families come to terms with this life-changing condition. Often called a 'hidden disability’ because those affected can show little physical signs of change, individuals with Acquired Brain Injury face enormous cognitive, behavioural and personality challenges. Sufferers are left to reconstruct who they are - from relearning the basics of walking, talking and eating, to redeveloping complex personality and behavioural traits, often under the imposing shadow of who they once were. Family members are caught between grieving for the loved one they’ve lost and learning to love the person they are now. Adam Barker, BBC Two Channel Editor, says: “BBC Two is delighted to welcome Louis Theroux back to the channel with a set of films covering British subjects with his usual penetrating documentary gaze and commitment to unpicking complex human dilemmas with highly sophisticated filmmaking." These will be Louis first documentaries to be set in the UK since the When Louis Met series which saw him interview and follow eccentric celebrities.